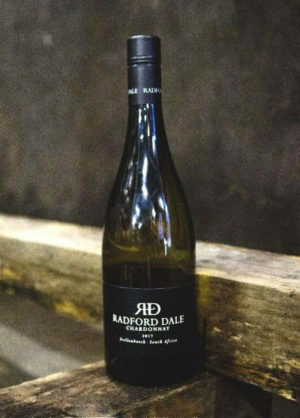 The week began with a consumer tasting in Hove on Monday 3rd June in the glorious surroundings of ‘All Saints Church’. 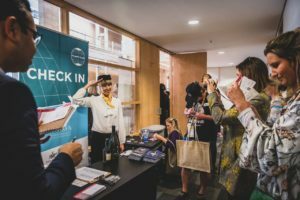 Over 240 guests attended the event to taste more than 45 wines and meet the winemakers behind them. 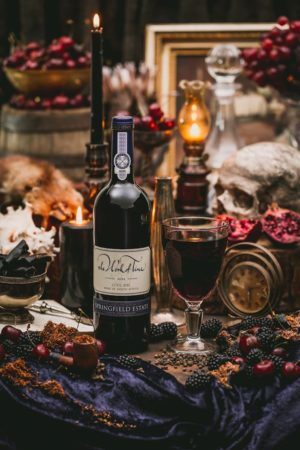 This event was followed the same evening by ‘Braai- ton’ which gave local press and trade the chance to enjoy a traditional South African ‘Braai’ experience alongside some of the fabulous wines from the PIWOSA producers. Although a bit chillier than South Africa, guests made the most of the outdoor experience, taking their chance to meet PIWOSA team mascot ‘Wino the Rhino’ and climb aboard in some cases. 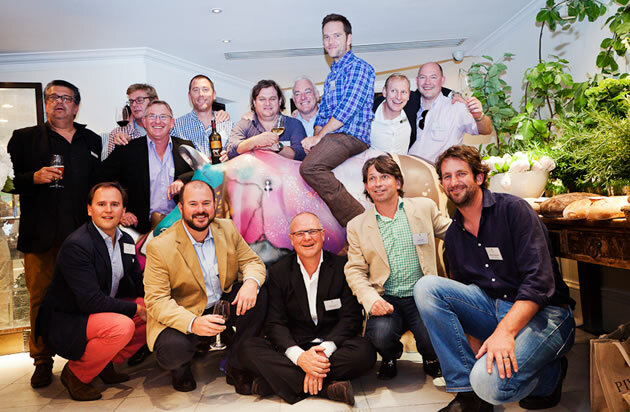 The next day, Tuesday 4th June, saw the winemakers head to the Antique Wine Company and W Hotel in Soho, for a series of blind comparative tastings of ‘South African Stars versus French Classics’. 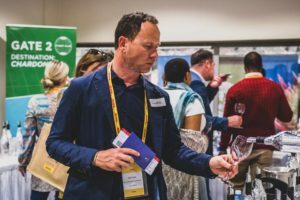 Three separate events were attended by sommeliers, press and consumers who were invited to try and identify highly regarded Northern Hemisphere wines placed in five flights of South African wines hailing from PIWOSA producers (Chenin Blanc, Chardonnay, Pinot Noir, Rhone Blends and Varietals, Bordeaux Blends and varietals). The exercise was intended to demonstrate the comparable quality, and comparable but distinctive styles of wines emerging from the Cape. 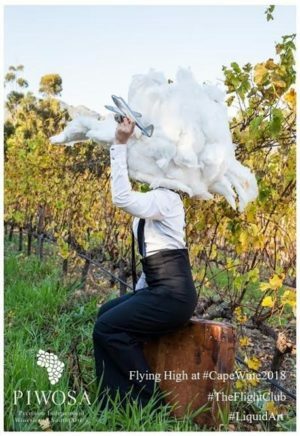 The prize at each event was an all expenses paid trip to South Africa for the guest who managed to correctly pick out all five Northern Hemisphere wines – however no-one managed this feat correctly. The day closed with three wine dinners hosted by the Wine Chap, High Timber and Vivat Bacchus.